Representatives of the power company Elektroprivreda BiH and two Sarajevo-based public broadcasting services, the national BHRT and the entity RTV FBiH, signed a business contract agreeing on collection of TV license fee together with electricity bills, displayed on bills starting with August 2017. 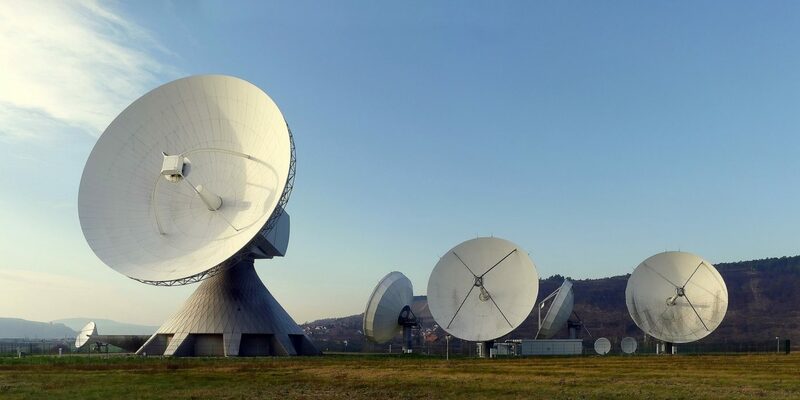 Along with these two broadcasters, the public broadcasting system of B&H also comprises RTV Republika Srpska which could not take part in this legal solution for fee collection because Elektroprivreda BiH supplies electricity only to Bosniak-majority parts of the B&H Federation. The three public services insisted on a common solution for stable funding. More than a year ago, a contract had expired with telecom operators in B&H which had collected TV license fee together with landline telephone bills. There had been no consent in the B&H Parliament to extend this solution or to prescribe a different method of collection, as a result of which public services had lost this type of revenue. BHRT is in the gravest situation, as it has low advertising revenue and is owed more than eight million marks by the entity public broadcasters. Salary contributions for BHRT employees have not been paid for over six months and salaries without paid taxes have also been paid out with a delay of two months. Therefore, the two broadcasters decided to go for a partial solution for collection to save themselves from total collapse and having to shut down the signal. Radenko Udovicic, longtime member of the Broadcasting System Board and media analyst, maintains that the public broadcasting system, as it had existed in the last 12 years, has now definitely collapsed. “There was no choice. If this contract had not been concluded, there would have been no hope whatsoever for the public services to produce program, while 1,300 people would likely have been left without jobs and citizens without fairly credible information. However, we have now gotten what Serb and Croat policies in B&H have insisted on for a long time. The two services in Sarajevo are funded by money from territories where Bosniaks are in majority. This now gives the Republika Srpska the opportunity to independently come up with a solution for its own public service,” Udovicic told our bulletin. BHRT has outstanding debts of 30 million marks. Therefore, revenue from subscription fee, and only from one part of the country’s territory at that, does not offer either the opportunity for paying back debts or for program development, just for mere survival. And if BHRT receives no funding from territories inhabited by Croats and Serbs, the legal purpose of this media outlet as a national public service is lost. BHRT Director Belmin Karamehmedovic is aware of all this. He told the BHRT primetime news program that this is a temporary solution meant to help the financial survival of his media outlet. “An identical business contract will be offered to other domestic power companies and we are hoping for a positive answer. The funds that we are about to receive from subscription fee are not sufficient, but they will enable continued work. Various levels of the state and society should become involved in saving the public services,” said Karamehmedovic. However, the signing of the contract on collection of subscription fee has foiled the plans of Croat political parties which had, by jointly with Serb parties obstructing solutions on collection of subscription fee, wanted to bring about the creation of a Croat channel within the public broadcasting system. The Croat Caucus in the B&H Parliament had recently proposed a law on the public broadcasting system of B&H, according to which the Federation RTV would consist of two channels, one of which would be a Croat channel. Bosniak and so-called civic parties had previously announced they would not support the proposal. As a result of this contract with the power company, Croats have lost the possibility of conditioning Sarajevo-based services regarding the method of subscription fee collection. The public service in the Republika Srpska is in a slightly more favorable situation because its RTRS has developed its own collection service and does not share funds raised this way with the other two broadcasting services. It is expected that an additional method of collection will soon be found in the RS too or it will be funded from the entity budget. However, even RTRS employees’ salaries and contributions are not paid on time. Opposition in the RS claims that RTRS has debts amounting to 30 million marks, which RTRS management denies, but refuses to give the exact figure. The general secretary of the SDS, Igor Ostojic, told Klix that RTRS owes more than 4.5 million KM for compulsory medical and retirement insurance of employees and that his party had filed a criminal report with the Prosecutor’s Office of Banja Luka against RTRS Director General Drasko Milinovic and other responsible people at the media organization for not paying these contributions. Monitoring carried out by independent media organizations confirms that RTRS openly sides with the RS government. On the other hand, many believe that this is precisely the reason why the entity government will come up with a solution on stable funding of the service.